Beneficiaries of government’s agricultural land reform policies at a grape farm called Nirwanda in the Hex River Valley, in the Western Cape, face an uncertain future due to corruption. 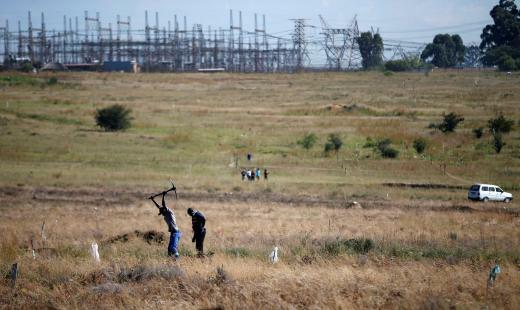 In one of the biggest land scandals, the SABC’s investigative program Special Assignment has uncovered how the beneficiaries have been left in the lurch due to conflict between a farming co-operative called the Big Five and the Department of Rural Development and Land Reform. This is over the alleged imposition of a multinational dutch fruit exporter called SAFE and its BEE partner BONO. A member of the presidential land advisory panel, Professor Ruth Hall, says the practise is rife throughout the country. The post Govt land beneficiaries face uncertain future due to corruption appeared first on SABC News – Breaking news, special reports, world, business, sport coverage of all South African current events. Africa's news leader..